Who's keyblade do you like better? 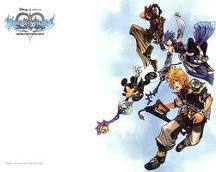 What do you think Kingdom Hearts is about? Created sa pamamagitan ng lobo bluewalker aka konstantinos. Yuki tumawid goes to a very unusual school. The elite tumawid Academy has two groups of students: The human araw school students and the night school students who are vampires. See a bista sa tagiliran of Vampire Knight sa pamamagitan ng Matsuri Hino, plus see tagahanga sites, previews and reviews of this shojo manga vampire romance series. Summary: In Kingdom Hearts: Chain of Memories, after Riku defeated Ansem, he sinabi he would someday return. And now he's back. But what is Ansem after? And who is this new, mysterious, strong girl? Minnie was startled and jumped at the sound of his voice. Axel took out his weapon of flames and struck Minnie several times, knocking her flat. He turned her over and let loose a gasp of shock, "The Queen?!?! What do you think you're doing here?!?!" The reyna struggled helplessly as she was pulled upright. Axel murmurred under his breath, "Excellent...huhuh." Sora, Donald, and Goofy had been wandering the many corridors of the kastilyo for a long time now, while each of them became madami and madami anxious. a poll ay idinagdag: Who looks cool inside a puwang suit? kingdom hearts birth sa pamamagitan ng sleep:What was the consol for khbbs?